At the point, most representatives of the international expert community are pretty sure that the global economy has been growing confidently for some time. However, Goldman Sachs analysts claim that the global economy is starting to slow down. 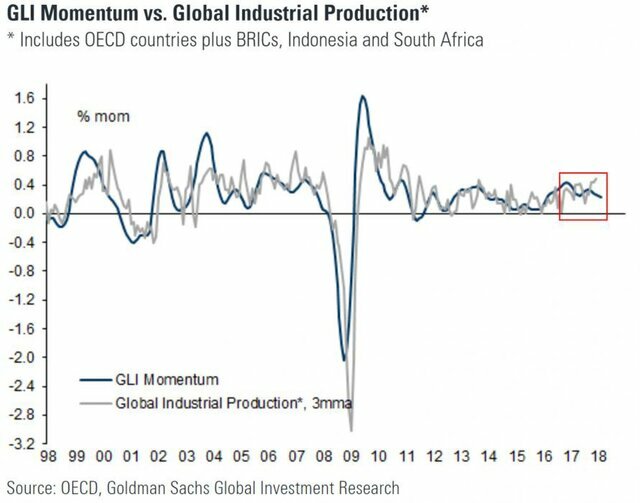 In February 2018, 7 out of 10 base components of Goldman Sachs' Global Leading Indicator (GLI) dropped a bit. The bullish momentum started weakening and slowed down from 0,249% down to 0,234%. These are the weakest figures since March 2016. So, the GLI indicator is used to spot monthly changes in the global industrial cycle. As for the recent figures, there was only one component of the indicator that showed some improvement – the initial jobless claims in the USA. The index showed the minimal figures in 49 years. 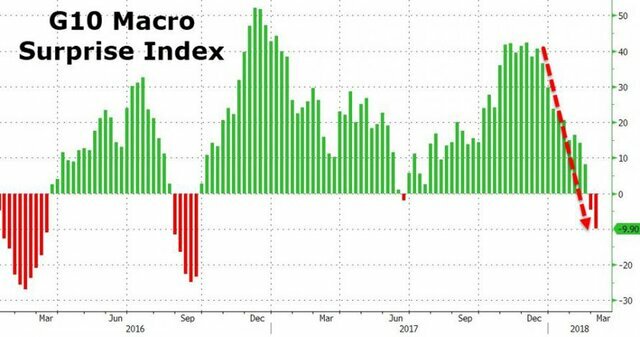 The worst-performing index turned out to be the one measuring the ratio between inventories and sales. The G10 macroeconomic stats turned out to be worse than expected as well. Goldman Sachs analysts think it’s weird to believe in global economic growth when the world’s biggest economies have run out of their upward potential. For instance, China is currently seeing its credit momentum weakening. Beijing seems to have seriously addressed the debt burden accumulating over the last 10 years. The Chinese government calls it a critical battle. They are afraid that big debt may trigger a systemic crisis similar to the 2008 global crisis or the 1997 Asian crisis. The Chinese government has uncovered a shadow banking sector with Anbang Insurance Group, HNA Group and Dalian Wanda Group, who had been borrowing money to buy foreign assets all over the world. Still, the concerns are reasonable. Firstly, China’s debt is still huge – 272% of the national GDP as of late 2017. Secondly, the ways and means of fighting the debt burden are unclear and need to be specified and clarified.